Explore below for Virginia-Highland homes for sale & neighborhoods in Atlanta GA. You’ve got a pretty cool mix in Virginia-Highland. There are some really nice homes lining these narrow streets that have been restored impeccably—it’s these lovingly maintained Craftsman and Victorians for which the neighborhood is known—but there are also some low-key studio spaces for rent, tucked away inside of ‘20s-era townhomes. For additional information about Virginia-Highland properties for sale in Atlanta or to schedule a private tour, contact your Virginia-Highland real estate experts today! Planning to buy or sell a home in Virginia-Highland? Contact The Keen Team at (404) 270-9374. Your neighborhood real estate agents will offer guidance to help you through the Virginia-Highland, Atlanta real estate market. 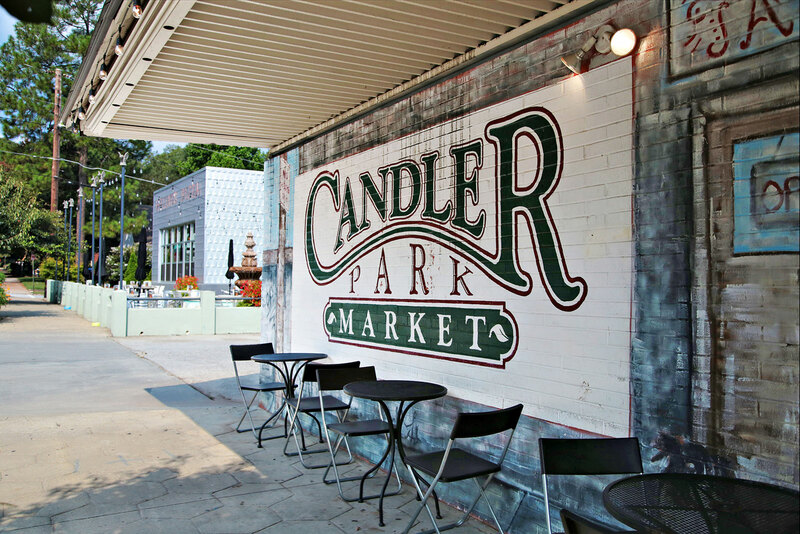 Safe, tree-lined streets lend an old-world charm to one of Atlanta’s most popular close-in neighborhoods. It’s a commuting town (but to be fair, what part of Atlanta isn’t) that’s super close to the city, but it’s also a neighborhood where people can walk down the street at night, and not feel like anything bad is going to happen to them. There are some great restaurants, like quiet eateries with glasses of wine served on white tablecloths, but there are some bustling fast-casual setups, too, which cater to the nightlife set. Trendy art galleries are set up next door to old hardware stores. Posh boutiques rest alongside edgy hair salons. The thing is, it all blends together seamlessly, like a Starbucks barista chilling out on the front porch as a Fortune 500 VP for a sunset cocktail and some chitchat (which, incidentally, is something else that you’ll probably see on a cursory stroll). A nice part of town to get around by bike. Virginia-Highland is located just to the east of Midtown Atlanta and Piedmont Park, a little less than a mile away from the Connector. It stretches north for about 15 blocks, directly north of the Ponce Corridor. It’s not very large, but John Howell Park, located in the middle of the neighborhood, is a lovely patch of green space, and serves as a base for some of the street festivals that take place throughout the year. Here’s a complete list of neighborhood parks. While nobody refers it as such in conversation, you’ll frequently see the abbreviation “Va-Hi” used in reference to this neighborhood (in writing, anyway). Though Va-Hi may feel tucked away, it’s actually really easy to get to Piedmont Park, which is only a few blocks by foot. Residents of this part of town love the fact that they can get to an outdoor concert series in the park without having to worry about getting around. Being so close to the center of Atlanta has some drawbacks (traffic, mainly), and the approach into Virginia-Highland, especially from the north, can be an arduous one. Find a resident who works close to where you do—chances are, they’ve come up with a clever alternate route of backroads and quiet streets that allows to shave hours off their commute each week. Ponce de Leon Avenue runs along the southern edge of Va-Hi, with Monroe Drive lining the western end, and North Highland Avenue to the east (the latter two offer access to the northern neighborhoods. Meanwhile, a network of back roads and quiet streets allow residents to get in and out easily, from pretty much anywhere. The entrance to Freedom Parkway lies just to the south of the neighborhood, on the other side of Ponce. A quick drive grants access the the I-75/I-85 Connector. Va-Hi lies a good distance north of the nearest MARTA rail station. 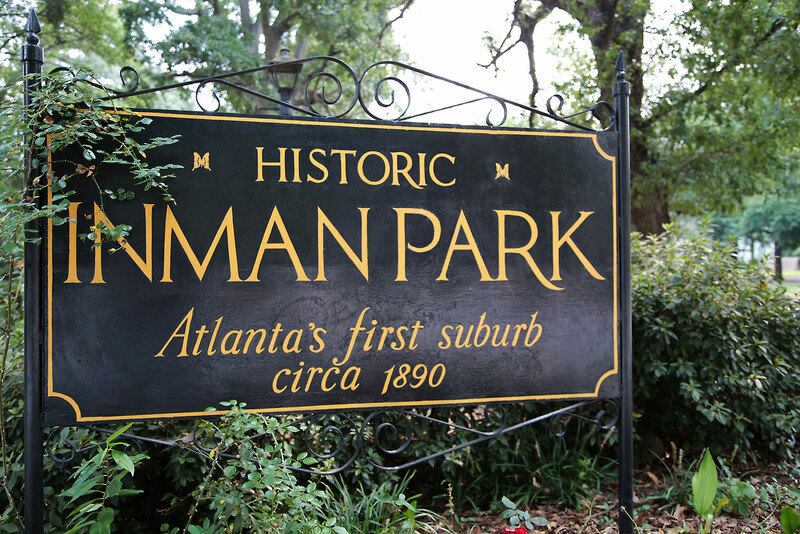 However, if you fancy a stroll, the Beltline connects to this neighborhood closeby, and a 20-minute walk down this foot path will put you only a few blocks away from Inman Park-Reynoldstown Station. 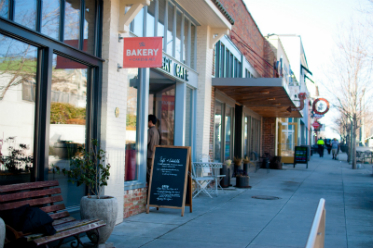 Virginia-Highland was already enjoying its reputation as one of Atlanta’s most inherently livable close-in neighborhoods, but when the massive Ponce City Market opened its doors, complete with restaurants, shopping, and lifestyle opportunities, residents were thrilled—it’s literally right across the street. 675 Ponce de Leon Ave. NE. The intersection from which this neighborhood gets its name also plays host to some of the neighborhood’s most noted dining and shopping spots. Fontaine’s Oyster Bar is an old-school, perennial classic; Moe’s and Joe’s serves up (literally) the best burger in Atlanta; Press and Grind is a perfectly funky little coffee shop—the list goes on. Looking to purchase a home in Virginia-Highland? Let our Atlanta real estate specialists work with you to navigate the process of buying or selling your house. Our Virginia-Highland real estate agents have expert knowledge on the distinct dynamics of the Virginia-Highland housing market. For further information about Virginia-Highland buyer or seller representation, contact The Keen Team. If you're preparing to sell your Atlanta residence, use our CMA page to uncover the resale value of your Virginia-Highland property instantly!